Being curious in nature, I am always trying out new skincare products, whether it's for sun protection, to prevent fine lines, to combat acne or just wanting to achieve healthy, glowing skin. 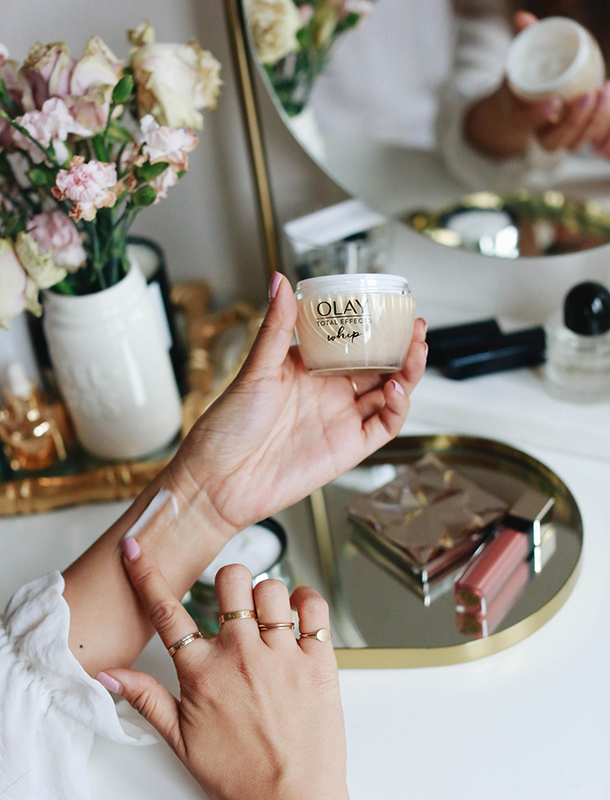 The latest product to join my skincare routine is the Olay Total Effects Whip. I was instantly drawn to Olay Whips because of its texture. It glides on, instantly absorbs into my skin, and doesn't leave any sticky/oily residue. The breakthrough formula (which had been in the making for ten years!) is so fluffy and light. 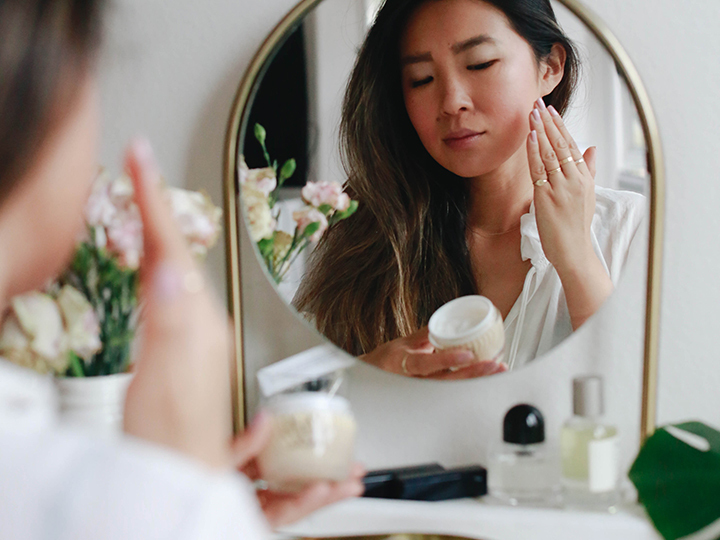 I love the less is more approach because even though it doesn't feel thick and heavy on my skin, I know that it is hard at work because of the results I've seen. 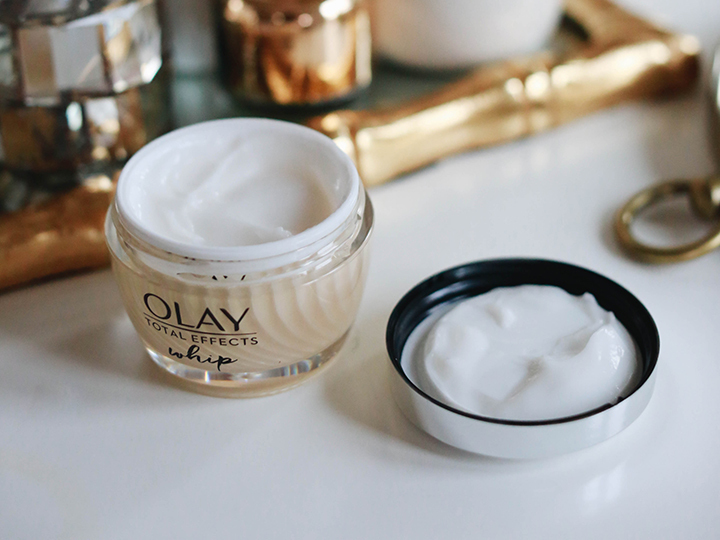 The Olay Total Effects Whip moisturizer features Active Rush Technology and transforms from cream to liquid when applied. 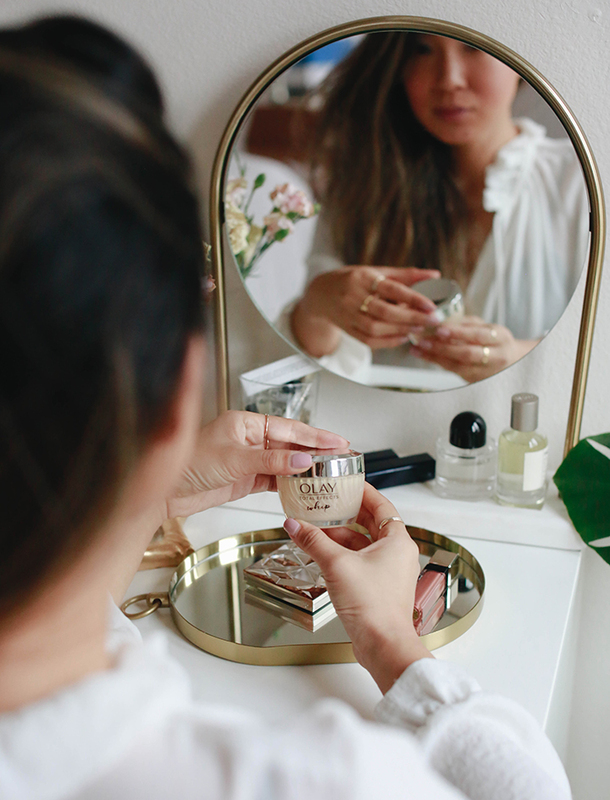 It leaves my skin feeling super hydrated, yet breathable, with a smooth, matte and shine-free finish. Since it leaves me with a flawless finish, I'm able to apply my foundation over it and now my foundation (and skin) looks better (and stays on longer) than it ever has. I also use it at night, so I can truly reap all its benefits. Not only does my skin feel more moisturized, but it looks brighter, my skin tone has evened out and my fine lines have been reduced.